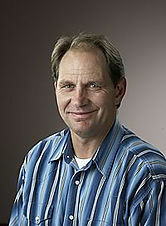 Tim Lane came to the Union Gospel Mission in 2005 with a wealth of experience from different fields of endeavor. 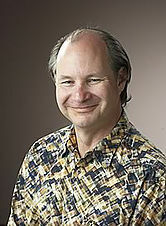 Born in Spartanburg, South Carolina, Tim moved to California with his family in 1959. 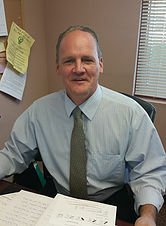 He began his career in the heating and air conditioning trade, and in 1982 acquired TH Air Conditioning Inc., which Tim owned and operated for over 15 years. In 1994 Tim discovered and became a regular volunteer of the Union Gospel Mission in Sacramento, where he had the opportunity to preach and work with the homeless for the first time. In 1999 Tim felt the call of God in his life. Called in 2001 as the pastor of Rioso Road Baptist Church in Sheridan, California, Tim is today an ordained minister of the Gospel. Along with his many responsibilities as the director of the Union Gospel Mission, Tim is still Pastor of Rioso Road Baptist Church. Pastor Tim’s love for the homeless and passion for the Gospel have combined to make him one of the most popular teachers at the mission. His weekly “Hero’s of the Faith class,” gives him the opportunity to share inspirational stories of faith and develop relationships with men in the rehabilitation program. A native of Somerville, New Jersey, Steve Jarrett served his country in the Navy, and then went to work as a chemical laboratory technician for a large pharmaceutical company. Like so many, he became addicted to alcohol and sought help from the Union Gospel Mission. Here he discovered people who not only helped him with his addiction, but also genuinely cared for him as a person. After successfully completing the program, Steve decided to lend his own talents to the mission, and became a full time employee in 1986. A meticulous worker, Steve found his niche in the accounting department, and served as manager of donor records for 19 years. 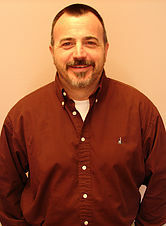 His love for the homeless and wealth of experience has proven invaluable, and in March of 2005 Steve was promoted to the role of assistant manager of The Union Gospel Mission. After a successful career as an electronic technician with the civil service, Jim Hughes felt the call of God to serve the homeless in a full time capacity. 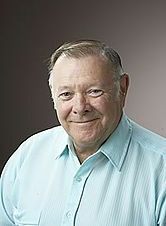 In 1977 Jim joined us as the mission’s program director. 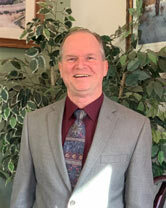 In 1978 Jim was promoted to the role of assistant director of the mission, and in 1980 accepted the directorship of The Twin Cities Rescue Mission in Marysville. 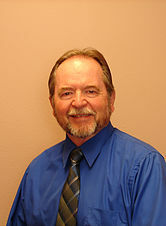 After 6 years as director, Jim returned to serve at the Union Gospel Mission in Sacramento. For more than 23 years, Jim has faithfully served in virtually every capacity needed, but believes his most valuable role is working directly with the men. 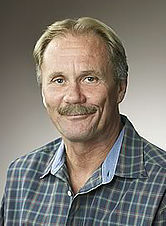 Tom Mooney was drafted into the U.S. Air Force in 1972, and served there for the next 4 years. In 1977, Tom surrendered his life to Jesus Christ and began a rewarding career that has taken him from street ministries to recovery homes, to churches. In 1994 he was called to Berean Christian Ministries in Rocklin, California. In the same year a new church, Last Day’s Harvest Ministries was founded, and Tom Mooney became their senior pastor, a position he holds to this day. After serving as a volunteer at The Union Gospel Mission for 10 years, Tom was asked to join the staff in 2002 in the role of Chaplain. 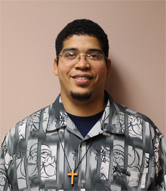 His many years in street ministries, and his musical talents give him a unique perspective and ability to relate to the men, and he has become one of the mission’s most popular teachers. 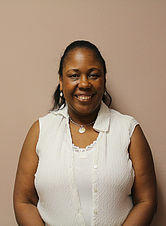 On November 12th 2010, Eileen Trussell joined the Union Gospel Mission family. Eileen believes that God sent her to the mission, a feeling that is shared by all the staff. Having grown up 45 minutes north of NYC, she moved to Southern Cal. in 1987 and landed in a career of real estate. 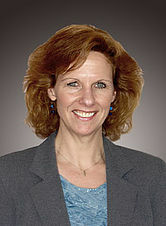 She moved up to Sacramento in 1994, and by 1998, she and her husband David had their own real estate/mortgage office. 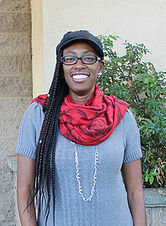 Eileen accepted Christ as her Lord and Savior in 1996. Along with the greatest gift of salvation, she and David are blessed with two lovely daughters, Jessica and Michelle. 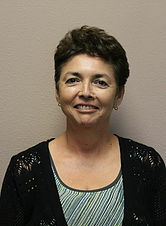 Since 2008, Eileen volunteered at her Church, Calvary Chapel of Sacramento, as their Secretary. It was another God-anointed, directed and inspired time, knowing that it prepared her for her current position today. She is truly grateful for everything the Lord has done for her in her personal life and career, and knows He has big plans to use her at Union Gospel Mission. One of many Union Gospel Mission success stories, David Lytle is a native Californian and an inspiration to all those around him. After his graduation from high school in 1976, David honed his skills in the construction industry, working in many different capacities and developing well-rounded abilities. For all his talent, David was unable to overcome his struggles with alcohol and by 1998 he was out of a job and homeless. Three years went by before David found himself at the door of The Union Gospel Mission, where he found a home and a personal relationship with Jesus Christ. Like many graduates, David’s experiences at the mission and deliverance from addiction, gave him an overwhelming urge to give back to others. A native of Sacramento, Donny’s first job was working as a roughneck in the oil fields of Oklahoma back in the late ‘70s. He found the work both financially and personally rewarding, and Donny spent the next 7 years working with his hands at jobs throughout the U.S., even spending some time in the Virgin Islands. 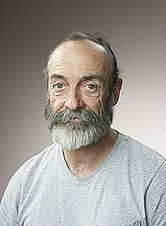 By 1999 he had even tried his hand at gold mining, and in 2000 found himself building houses in the state of Arkansas. Yet all the skills he learned and rewards he earned weren't enough to protect him from the challenges of addiction. By 2001, a combination of drugs and alcohol had taken its toll on Donny and lead to a series of bad decisions that left him homeless. On January 8th, 2002 Donny came to The Union Gospel Mission, and 2 weeks later gave his heart to Christ. With renewed determination he enrolled in the rehabilitation program, and graduated on November 22nd 2002 with an entirely new outlook on life. Grateful for his life changing experiences at the mission, Donny decided to share with others what God had done for him, and in 2003 began his internship as a cook. By the next year he was the head cook at The Union Gospel Mission, and because of his leadership abilities was promoted to ranch manager of Eagles Nest Ranch in August of 2005. Donny Braninburg is committed to the work he does because of the difference he makes in the lives of others, and The Union Gospel Mission is a better place because he’s here. A native of West Frankfort, Illinois, David Lynch moved to the west coast in 1943. After completing high school, David enlisted in the U.S. Army in 1953, spent 2 years on active duty and 6 years with the reserves. As a young adult and even through his military endeavors, David never drank alcohol. His first job was with The American Can Company as a forklift driver. Many times the guys at work had encouraged David to join them at the local bar for a drink on the way home, and every time David had refused. After successfully completing the program, David became a full time employee of The Union Gospel Mission, and is a positive asset to everyone with whom he comes in contact. 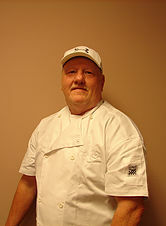 Today, David handled all of the deliveries for the mission and has a regular route with Safeway stores 6 days a week. David retired in 2014, but he still has a love for the Mission and you can still find him around the Mission volunteering and accepting in-kind donations. 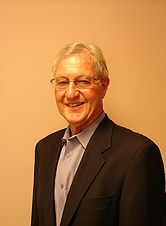 Greg Baker moved to Sacramento California in 1967 and attended four different Christian High Schools. Upon graduation, Greg joined the U.S. Air Force and served his country for the next 4 years. At the age of 25 Greg found the Union Gospel Mission and a career he truly loves. Greg has served the mission in a variety of jobs for more than 20 years, selflessly taking on any task he has been asked to address. His favorite job involves working in the front office with daily data entry. Tireless and dedicated to the plight of the homeless, Greg is the ultimate team player. His spirit is contagious and he truly represents what The Union Gospel Mission is all about. Born in San Bernardino, Danny has lived in California most of his life. In his mid twenties he lived in Colorado for five years, he learned to love the snow and the Denver Broncos. Working various jobs throughout his life: apprenticeship in plumbing, construction, restaurant work, truck driving, and sales, he found his true calling in serving the Lord with tremendous skill and creativity working with computers. On December 12, 2009, Danny landed at the doors of Union Gospel Mission. Just released from prison, broken down, homeless and struggling with the urges of falling back into a life of alcohol, anger and drug addictions, Danny enrolled in the 9 month Rehabilitation Program at the Mission. ``The Lord knew I was tired and that I wanted the mental and emotional roller coaster ride to STOP!`` I had to let go of the wheel as I thought I was in control and just ended messing up my life. When I surrendered my life to Jesus, I now am along for the ride as He's got control of the wheel, and my life has drastically changed! 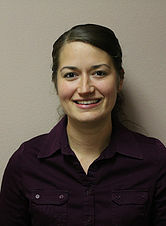 Danny began interning in the Development Department in 2010, and officially became employed May, 2011. 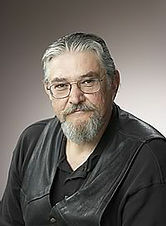 His love for the homeless has enriched the Mission and his computer skills have enhanced the office, especially keeping up with today's speed of technology. He continues to volunteer after hours with the homeless, and has become another great member of the Mission's family. Danny has also redesigned the Union Gospel Mission Webpage and brought it in-house to reflect what it is that the Mission does. Who else would know then someone that has been through the effects of addiction, recovery and reborn. 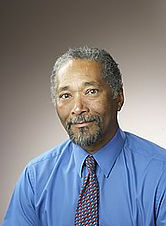 Born in Martinez, California and living in Pittsburg for 25 years, Bobby worked many jobs throughout his life. Operating machinery, warehouse worker, janitorial services, customer service, landscaping and indoor / outdoor maintenance. On May 14, 2009 Bobby came to Union Gospel Mission doors. After losing his family, heart and with his spirit broken, homeless, drinking alcohol and with drugs addictions. Bobby enrolled in the 9 month rehabilitation program at the Mission. Ernie is a Sacramento native. He was born in Oak Park and later moved to South Sacramento where he graduated from Luther Burbank High school. He worked in the grocery business for 17+ years before being called into fulltime pastoral ministry from December of 2002 - 2013. 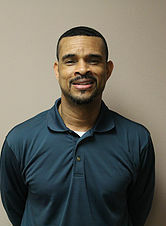 Ernie is a member of the Association of Certified Biblical Counselors (ACBC) and is passionate about biblical counseling and discipleship training with over 10 years pastoral counseling experience. 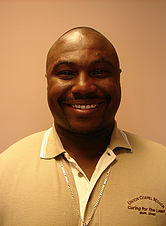 He joined the UGM team in 2013 where he works as a fulltime chaplain in our drug and alcohol recovery program. Ernie has a true shepherd’s heart and desires to see as many souls saved and properly discipled as possible. He is happily married to his lovely wife of 28 years and has 7 wonderful children. He and his family currently reside in south Sacramento. 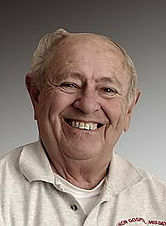 Ernie enjoys reading, sports, BBQ and good music.